Adobe today has released a new version of Photoshop for all iOS based devices, in the process rebranding the old and limited functional Photoshop.com Mobile app for iPhone to Adobe Photoshop Express. This new version brings a new and improved UI, support for iPad, and a whole bunch of new features for the iPad version, which of course makes sense given the larger screen space of the device. One downside? It still lacks support for iPhone 4’s Retina Display, which is a big disappointment in my opinion. Anyhow, the official change log of Adobe Photoshop Express version 1.3 is as follows. 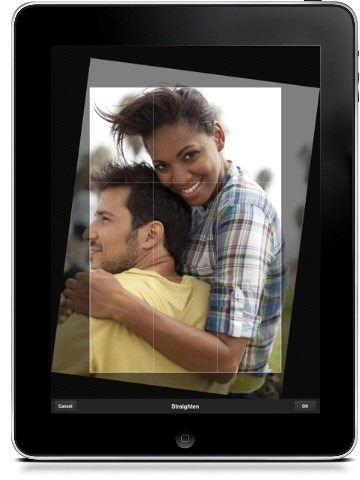 Adobe Photoshop Express for iPhone, iPad and iPod touch is available on iTunes App Store as a universal binary. You can grab it for free via the download link given below. I think that with time we’ll be able to get everything n every software on iPhones or iPads and there would be lesser need for Pcs for a common man. Thats the need of the hour!